Bats have webbed wings and are our only mammals capable of true flight. Despite their bad reputation and frequent persecution, bats are legally protected mammals that cause only a few problems for people. Bats can be thought of in two broad categories, those that are colonial and others that are solitary. Colonial bats gather together in colonies and are the ones most often encountered in homes, other buildings, mines, tunnels and caves. Examples of colonial bats include the little brown bat, big brown bat, the northern long-eared bat, and the tricolor bat. Solitary bats, also known as tree bats, typically roost in tree foliage and under tree bark, but occasionally can be found near buildings. Common tree bats include the red bat, silver-haired bat, and hoary bat. This colonial vs. solitary distinction may vary with season. Typically solitary species females may group during the summer in maternity colonies but remain solitary during hibernation. 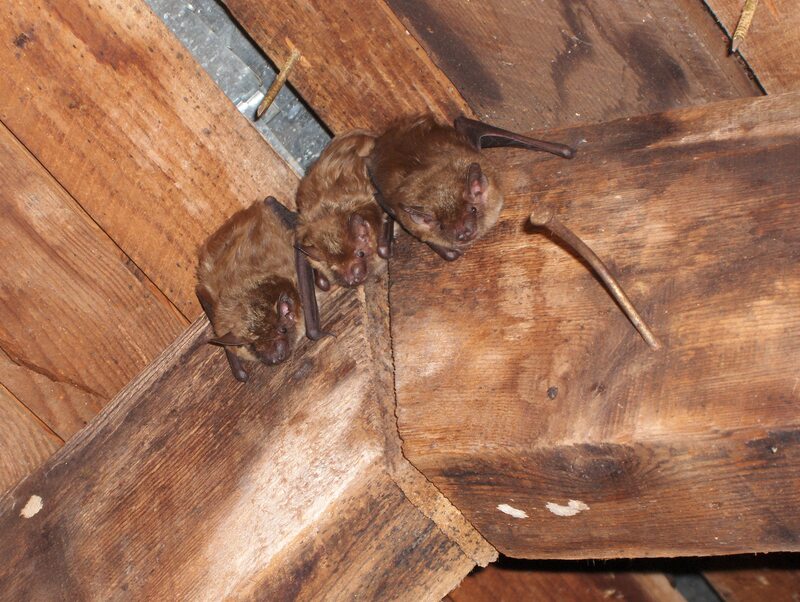 Bats may also form colonies in trees or roost solitarily in attics. Virtually all bats found in North America are quite small. Their bodies are typically less than 5 inches long, with an 8- to 12-inch wingspan, and a weight of less than ½ ounce. They are important insect-eating mammals that feed at dusk and night. 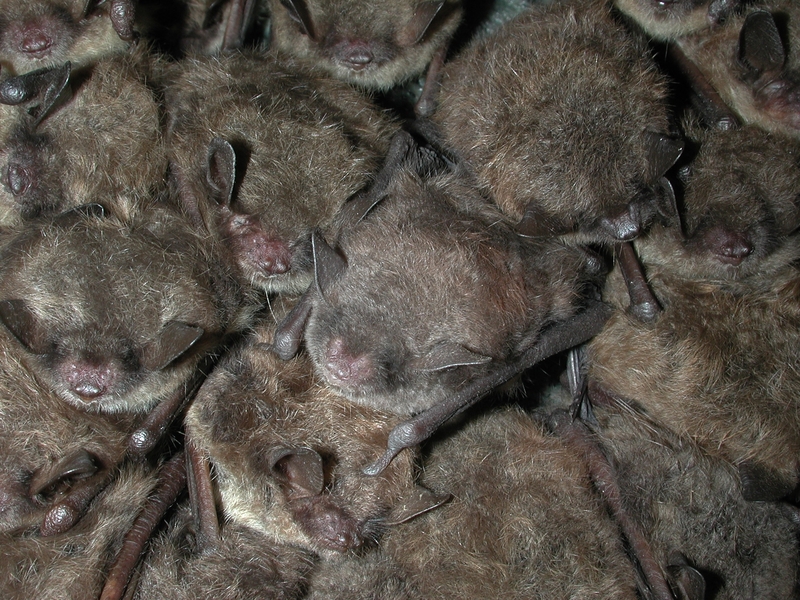 White-nose syndrome (WNS) is a disease that is killing hibernating bats in eastern North America. Named for a fungus that grows on the faces and exposed skin of hibernating bats, WNS has decimated affected bat populations. Bats affected with WNS do not always have obvious fungal growth, but they may behave strangely within and outside of their hibernacula (caves and mines where bats hibernate during the winter). This strange behavior can lead to an increased risk for contact with humans. The biggest human conflict with bats occurs when they enter our homes and roost, where they can cause a disease risk to people and pets.